The White’s Cross Gaa / Scoil Naomh Micheál raffle took place on Friday 19th September at the GAA grounds. A big thank you to all who bought tickets and supported the raffle and congratulations to all the prize winners. 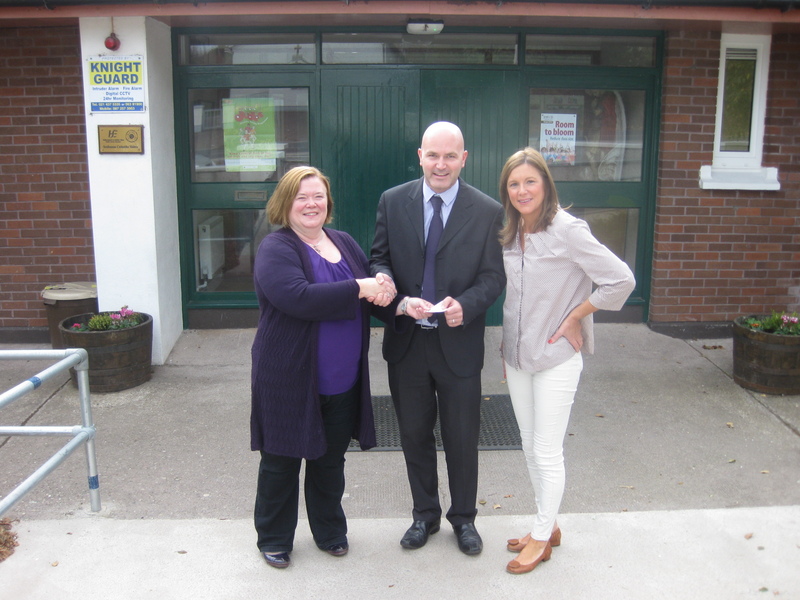 On Friday26th September, Teresa Quain and Imelda O’Connell presented Mr. O’Connell with a cheque for €1196. This is a fantastic contribution to our school and we are extremely grateful to everyone at White’s Cross GAA club! 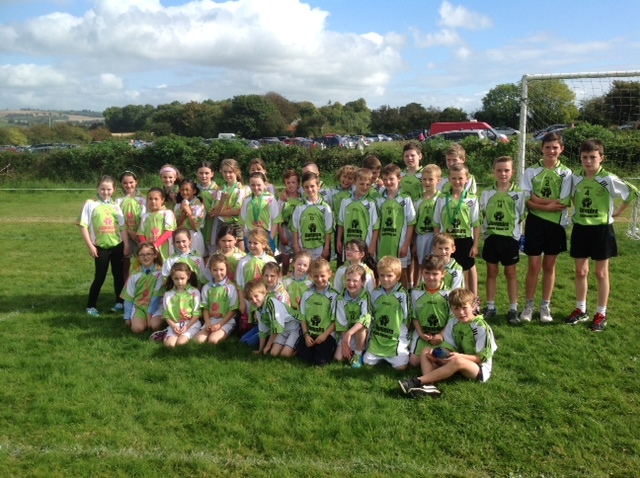 On Friday 26th September, a team from Scoil Naomh Micheál travelled to Conna to partake in the East Cork Schools Cross Country event. Ms. O’Brien went to great effort to run races in the school to pick a team for the day. The children were a credit to the school and even won a few medals on the day too! Thank you also to Ms. Healy and Ms. McDonald who travelled with the team. For the past number of weeks we have been taking part in the Food Dudes programme. For 16 days we have had fresh fruit and vegetables delivered to our school. The children get prizes for eating or tasting the fruit and vegetables. 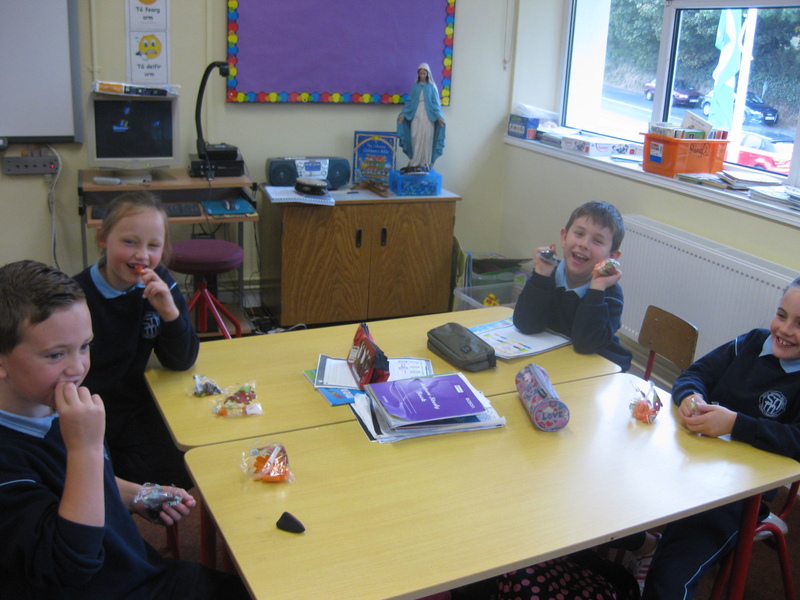 When the 16 days is finished, we will continue to get prizes if we bring fruit and vegetables in our lunches. The Food Dudes has been extremely popular in our school.